Custom Cold Weather Caps With Keppi Sparkle Yarn! Winter's winding down and we're all beginning to anticipate the beautiful season of spring, but there's still plenty of time to make use of a cool, custom knit cap! 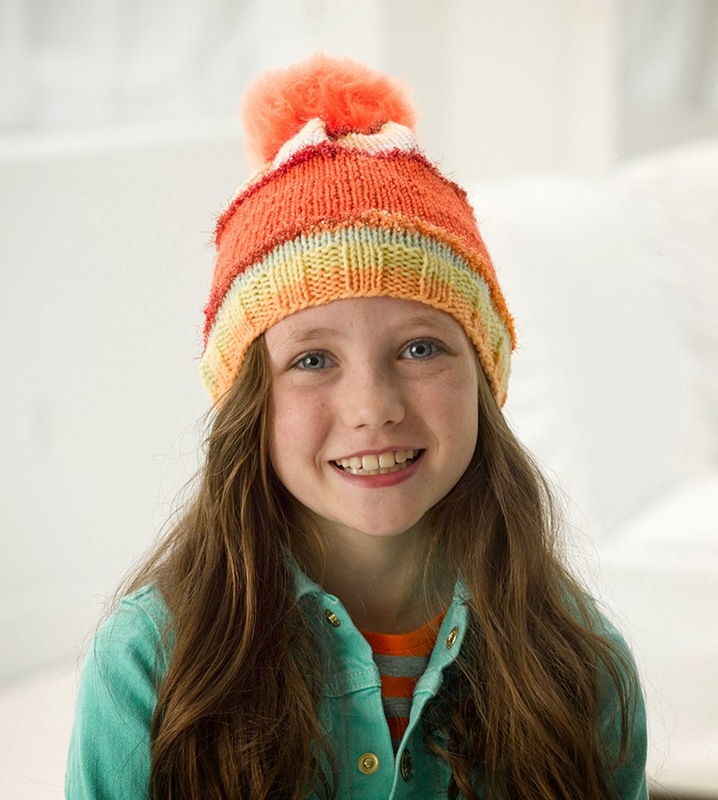 Lion Brand's latest release, Keppi Sparkle Yarn, makes it easy to create a cute pom-pom topped beanie that will become a staple in any winter wardrobe. Each skein features enough yarn for one cap, and it also includes the topping pom-pom for extra flair and fun! The 80% acrylic, 20% polyester blend of this yarn will make your project soft, durable and easy to care for season after season. Your Keppi Sparkle Yarn project will make the perfect gift, whether for a birthday, the holidays, or just because!